Little Burrowers is a unique baby sensory and soft play area for babies aged 0-18 months. Come and explore a world of colours, sounds, textures, fun, new experiences and imagination in a homely and friendly environment. Little Burrowers is designed to develop your babies movement, brain structure and senses, laying the foundation for their later learning and giving you the opportunity to interact with your baby. We offer messy play, birthday parties, baby disco, baby massage, private group sessions and so much more. We have a cafe on site which serves hot and cold sandwiches, wraps, salads and soups. See our classes and events section for more information on our website here. A well established children’s soft and adventure play centre and cafe, providing an exciting range of activities and parties for children in a safe, fun and enjoyable environment. Fresh home cooked food. Open 7 days a week, parking onsite. Crazy Tykes is a large soft play area with plenty of equipment for all ages. There is a great babies/crawlers area in the centre of the place and good visibility from the seating area into most of the large play equipment. There is a football/ball games area and party rooms around the edge. The café is well priced with a good variety of foods. Offers various party packages. A huge and fantastic soft play area situated on the outskirts of York. There is a bright and airy main play frame with a 4 slide racer, a disco area, separate areas for babies and toddlers and football/ride-on area. Café and a huge outdoor area with petting farm, sand pit and water play. A great day out. DL Kids is open to non members. Drop in and allow the kids to play on the indoor play frame and soft play areas whilst you sit and relax and catch up with friends. Keep the children entertained with tabletop activities and games. Relax together in the large family lounge area. Enjoy a fantastic children’s menu and snack options. A family friendly indoor soft play centre located in Farsley, for children upto 148 cm in height (or approx 8 years old). Multi-level soft play area, with separate areas for babies and toddlers. Cafe and parking on site. Open Mon-Fri.
Jigsaw Gym’s is a unique play and party venue, catering for children from birth to 11 years. Featuring an exclusive multi sensory play area for children under 1 year old, a dedicated toddler area for 1 – 3 years and a large multi level play structure for children aged 4 years and over. Offer birthday parties which are all private parties having exclusive use of the whole play facility. Jigsaw Juniors is a play cafe and party venue for younger children in Horsforth, Leeds. We offer pay & play 9am to 3.00pm Mon to Fri and private exclusive use parties at weekends. Fully equipped sensory room also available. Street parking only. Tel: 0113 258 1093. 30 Town Street, Horsforth, Leeds LS18 4RJ. Soft play, cafe and party venue for younger children in Yeadon, Leeds. Open Mon-Fri, 9am-5.00pm and Sat-Sun 10am-4pm. Cafe serving delicious food including home made cakes. Separate sensory and baby area also available. For the Kids (0 -12 years) 4m high Twin wavy slide and Tube slide, Kart track, Sports area, Dizzy disc. Separate toddler area with bumpy slide, ball pool, ball boggler and much more. 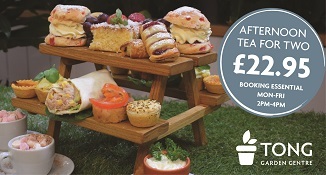 Relaxed family orientated atmosphere, contemporary café bar with wifi. Open Mon-Sun. There are a number of parking spaces to the side of the building on Clarence Drive with a larger parking area to the rear on Clarence Gardens. This is a large bright soft play area and there is excellent visibility of the equipment from the café. The crawlers area is good and there are separate ‘function rooms’ for parties and various classes which are run here. The home of the slidiest slides, the most colourful crafts, and the Wackiest kids around! Whether its birthdays or bank holidays, after school or after dinner, there’s nowhere better to set them loose. 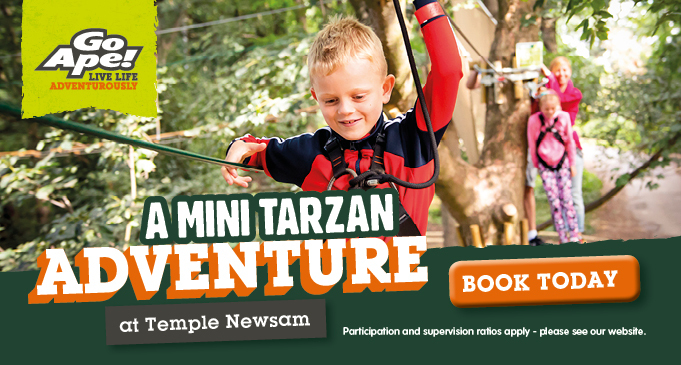 Great for all ages, main adventure play for the over 4s and separate toddler and baby play area including ball pool. Also separate car track with little tikes cars and ride-ons. Cafe onsite. A genuine 3 dimensional jungle maze with bridges, slides, dark corners, ball pools and more. This soft play area will keep your children occupied for hours. Parties catered for. Cafe & toilet facilities. Open Mon- Sun, onsite parking. A family run farm, providing an excellent farm shop stocked with our own renowned meats, and you can take a walk around our outside animal area or visit the pigs, rabbits and other animals inside the barn. We have a large indoor sandpit and small play area for children. There is lots of free parking and a special picnic area. 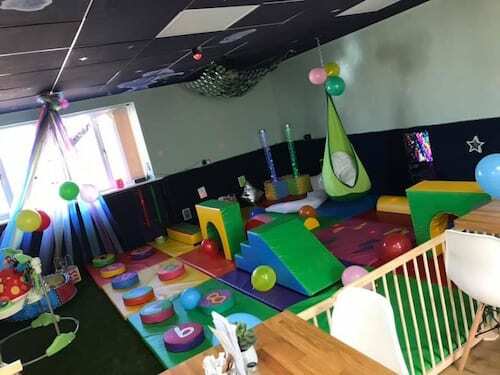 Formerly Sensory Space, Domi Domingo Hub is a small friendly establishment offering messy activities, and access to sensory rooms, which include bubble tube, fibre optics, low level soft play, black white and red area. For babies and toddlers (Approx 0 -24 months). Comfortable feeding and changing hubs, a small snack café selling organic soup, fresh from the Domi Domingo kitchen. Open Monday 10am-12pm and Friday 12-3pm for public access. 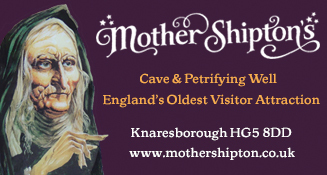 You can just drop in, (max 2hr stay), and the cost is £8 per family. Currently in the process of planning the sessions and classes for children and families. Play, climb, trek, bowl, skate, ride, ski, eat, drink Summit Indoor Adventure has something for everyone whether you’re a parent with a toddler to entertain, group of friends looking for a somewhere to go or want to do something together as a family Summit Indoor Adventure has it all. 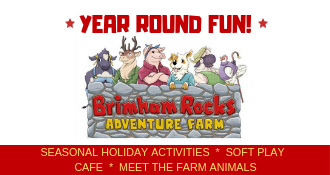 Open daily, The Barn is a great place for all the family to come and enjoy fun activities, indoor and outdoor and great home-cooked food in the café. With all sorts of different events on weekly and monthly to keep the kids entertained, it is a great place to meet other mums/dads for cake and coffee! Monday-Friday, 9am-12.45pm / 1.15-5pm. Saturday, 9.30-12pm. (Saturday afternoon’s reserved for private parties). Tiny Boo is an under 5’s exploratory and imaginative playspace in the HEART Centre in Headingley. An easy on the eye play space! Somewhere where parents can enjoy a coffee and meet others and the experience is for everyone, not just the kids! The play structure takes on the theme of a home. There are lots of opportunities for pretend play and sensory engaging play for babies. Limited onsite parking. (Opened November 2018). £5 Walkers. £3 pre-walkers/siblings. £1.50 pre-walking siblings. Under 5 months FREE. Additional Adults £1 (Price for child cover’s 1 adult only). William’s Den is a new and exciting adventure attraction, giving children the chance to connect with nature and get active as they explore a custom designed complex that brings the great outdoors inside. Children can play, explore, run, climb, build dens and learn, all in an open, rural and natural setting with a range of facilities tailored to families. Special events and activities in the school holidays.